End Exclusion! Rights for All! 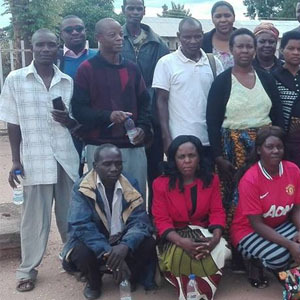 ZAFOD and MHUNZA are implementing a joint project, “Advancing the Right to Legal Capacity for People with Mental Health and Intellectual Disabilities in Zambia”, with financial and technical support from OSISA and IRIS. The END EXCLUSION! RIGHTS FOR ALL! Initiative seeks to advance the right to legal capacity for people with mental health and intellectual disabilities in Zambia. It is a multi-level project where we are working to build the capacity of individuals, families, and the communities they live in – in order to develop effective community based supports towards increased social inclusion. The project seeks to pilot community-based approaches to support individuals to gain more control over their lives, and to build family and community support and solidarity for this purpose. The project is being implemented in three (3) districts of Kazungula, Mansa and Shan’gombo. The aim of the project is to strengthen capacity of people with mental and intellectual disabilities, their families and the communities they live in to develop effective community based mental health and other supports, which enable people to exercise legal capacity and gain social and economic inclusion.